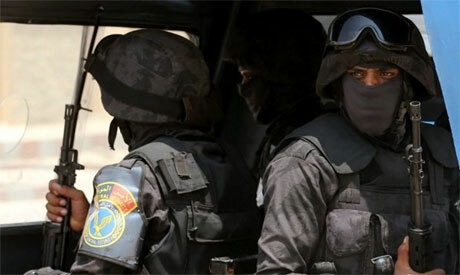 Egyptian police have killed five terrorists affiliated with the banned Muslim Brotherhood group during a raid in Qalioubiya, north of Cairo, a statement by the interior ministry said on Tuesday. The terrorists were killed in a shootout as security forces attempted to raid a deserted factory in the governorate’s Obour City, which the terrorists were using as a hideout and to manufacture explosives. Weapons, including improvised explosive devices and other explosive materials, were found at the scene by police. The raid came after monitoring operations by the ministry’s national security department, which said that the terrorists planned to execute a number of attacks against vital institutions and personnel from the police and Armed Forces. Over the past months, Egyptian police have announced the “elimination” of dozens of terrorists who were plotting to carry out attacks throughout the country.